No one way is the only way! I’m a ‘pluralist’ combining the best of the many excellent methodologies I’ve learned over 35 years, filling Meisner’s ‘Golden Box’ with as many tools as possible. The actor is treated as an athlete accessing both the physical and emotional aspects of the art. One-on-one attention is given to everyone every session. Each person is beautifully unique and individual needs are always addressed. We create a positive environment where surrendering to imagination, risk-taking and learning is fun. Negative feedback is never given and the student’s personal life is never invaded. The harder you train, the luckier you get. Always be in a supportive, ongoing class where you work every session and are encouraged to take risks, fail, and grow. Do theatre, but stay in class at the same time if at all possible! Add social dance, karate, improv, stunt class, voice/singing lessons, etc. to your studies. Diligently prepare for and attend as many auditions as you can get into: student films, short indie films, open theatre calls, commercials. Do your best and forget about the outcome. Be social. Attend mixers. Smile and genuinely enjoy them without focusing only on what’s in it for you. Send thank you notes. Be well read and well informed about both your art and the world. Learn to promote yourself. Learn to use technology. 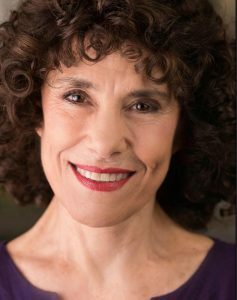 As a member of Actors Equity Association and SAG/AFTRA for 35 years, Paula acted in theatre, film and television and directed critically well-received theater in Los Angeles at The Cast, The Ensemble Studio Theatre, Actors Playhouse and independent venues. In Austin, she directed two plays at the Long Center Rollins Theatre and continues to coach casts for film and theatre. Among others, she coached the lead actors for the films Zero Charisma, Lovers of Hate, Austin High and Slackers 2011. On staff teaching acting at all levels for all mediums at The Actors School (formerly State Theatre School of Acting) Austin since 2008. Coach at Zach Theatre Performing Arts School 2015: Master Film Class and 4th year College-bound Conservatory students. Paula Russell Band residency at the Broken Spoke in Austin since 2012, and at Stinson’s Bistro every Thursday since August 2015. Paula is the lead singer in 5-piece Country-Rock and Jazz bands in Los Angeles and Santa Barbara, CA and Austin Texas. Guest panelist for Austin Network Mixer 3 times. Coach and Panelist for Hollywood Across America – 3 years. Founding member of Austin Creative Alliance and a member of TXMPA, Austin Film Festival The Austin Film Society and SAG Conservatory. Attended San Francisco State University and The American National Theatre and Academy. Additional training includes David Craig’s Musical Theater (for professionals only by recommendation), Off the Wall Improvisation Co., Will Geer’s Theatricum Botanicum Shakespeare Company. Created, organized and taught weekend Actor/Director Intensive Seminars titled “You Can Never Get It Neat” at UCSB Extension, Monterey City College, Orcas Center Theater, Actors Theatre of Orcas Island, Alleywood Studios, Austin, Old Pueblo Players, Tucson, and privately at venues in Santa Barbara, CA, Tucson, AZ and Austin, TX. Created and taught acting & on-camera commercial classes at SAG franchised La Belle Agency in Santa Barbara for 4 years. Taught annual Eight-Week Scene Performance Workshop at Actors Theatre (5 years).